Our range of products include fiberglass tape. Banking on our immense experience and knowledge base, we are supplying and trading Fiberglass Tape. The offered tape is made from high-grade materials and has earned us a huge clientele. It is used in pharmaceutical, chemical and electrical industries for providing insulation and sealing. This tape is durable and is available at cost-effective prices as well. 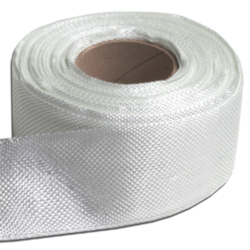 Looking for Fiberglass Tape ?